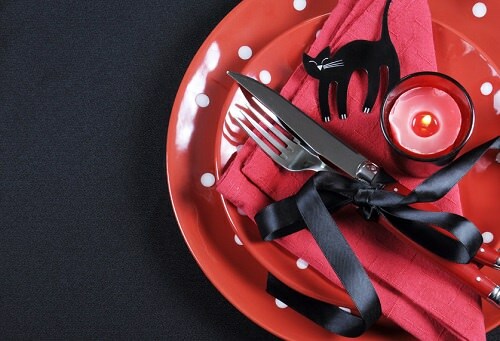 Whether you select elegant black tablecloths overlaid with gold organza or dollar store bargains adorned with pumpkins, ghosts and witches, it’s easy to create a Halloween table. Add miniature skull candle holders or carve out the center of miniature pumpkins and place small votive candles inside. A Halloween wedding, while out of the ordinary, is a spectacular way to express your individuality and incorporate the aspects of this holiday that dominates the season. By celebrating with Halloween decor and traditions, you’ll be able to create a festive atmosphere that’s fun for everyone. Are you planning to have a Halloween wedding?